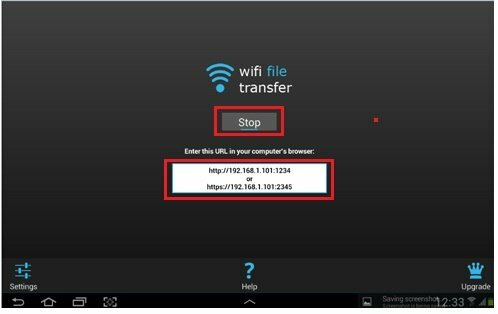 I come across this free WiFi File Transfer app for Android devices lately. It lets you upload and download files between Android device and computer over a wireless connection easily. It comes with easy-to-use web interface and no USB cable is needed. As you already known this app is free, so you could download it from here from your Android devices. There is paid version of the wifi file transfer app too. The free version cannot upload files larger than 5 MB but everything else works 100%. 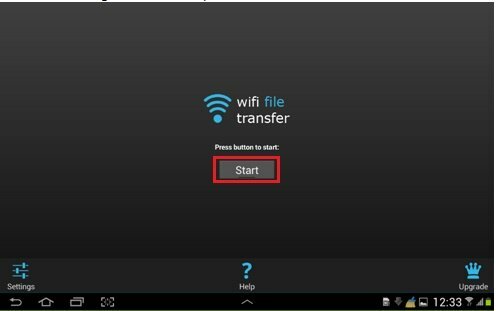 1) Open wifi file transfer app after installation, you just need to tap Start in order to enable file transfer or sharing with other computers. Note: However, you are advised to set password authentication before others could access these local Android resources to avoid unauthorized access. Simply tap on Settings, and tap Access Password to set password. Note: If you tap on Advanced Settings, it allows you to set network listening port, enable or disable SSL Encryption, set background color and other miscellaneous settings. 2) The following WiFi File Transfer window will pop up and it tells you the URL for accessing local resources. In this example, the URL is http://192.168.1.101:1234 for http access. 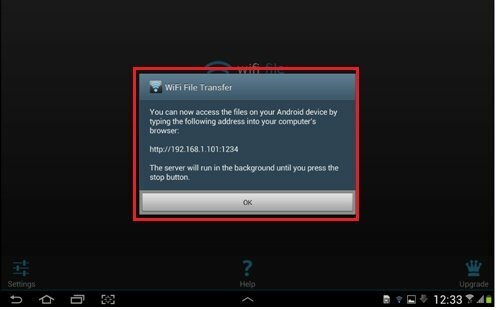 Tap OK.
3) The following wifi file transfer screen will appear whenever the sharing is still running. It will also show you the complete access URL in HTTP or HTTPS format (I prefer HTTPS format). Actually what you have done? 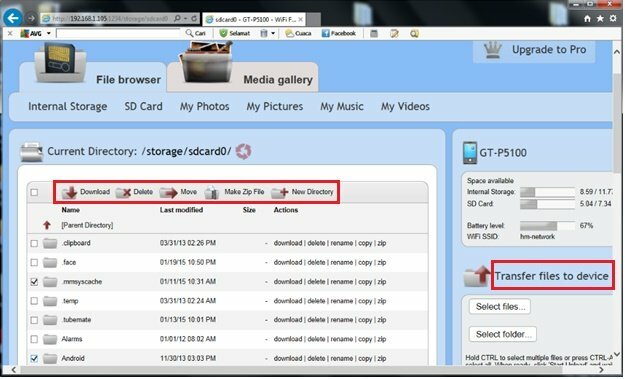 Basically you have set up this Android device as a file sharing server that is listening on port 1234 and 2345, and you then able to connect to this device from your laptop or computer with web browser easily. Note: Just click Stop if you want to end the file sharing. 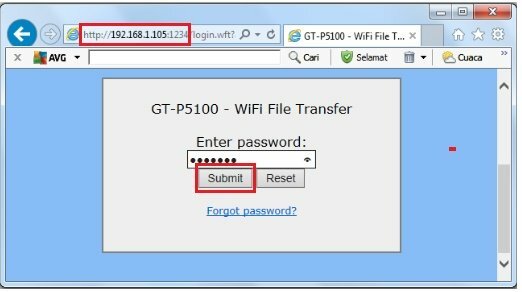 Note: Please don’t run other server apps such as WebSharing or Kies Airport that use the same ports as Wifi File Sharing, if not you will have problem to make it working properly. 4) Ok! Now let’s work on your computer or laptop. Go ahead to open your favorite web browser and key in the full access URL you saw earlier on Android device. Proceed to key in the access password if you have set it and click Submit. 5) Once you have log on successfully, you can then able to download, delete, move, create new directory or perform other actions on connect Android device. Return to top of "Quick Tips to Secure Android Smartphone"! !